Love the Sonoran Desert and the Desert Botanical Gardens in Phoenix is such a beautiful place to experience it. After a few good strolls through the grounds we stopped at this spot in front of a hill of saguaros to have lunch. 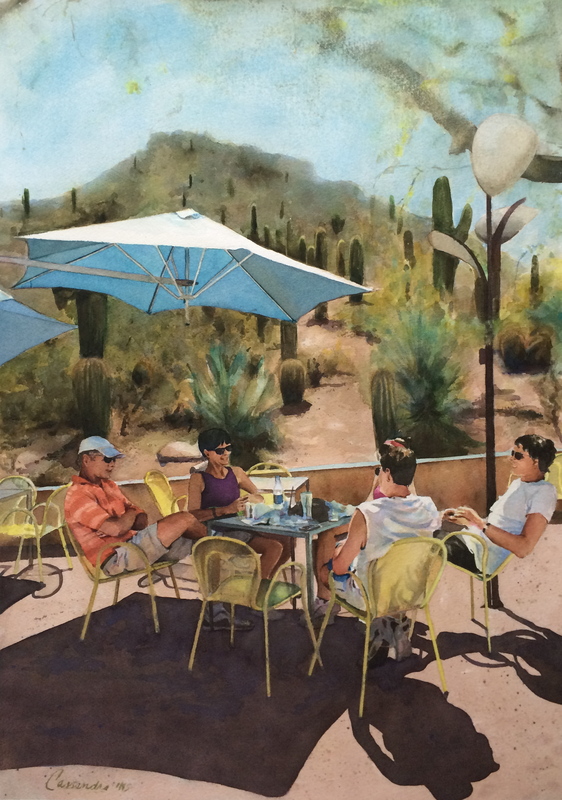 I think the painting is inviting you to hop over the stone wall and take a stroll up the path into the saguaros.